Hello, I am a UX/UI designer, illustrator and front end developer working at NSDesign, a digital agency based in Glasgow. I try to make the web better by designing intuitive user experiences using the latest web technologies and standards. View some of my recent work below or visit my blog for all things design. Like what you see? Then why not get in touch. Clyde Cruises operate river cruises and boat trips in Scotland taking in the Clyde in Glasgow, Aberdeen harbour and the Caledonian canal. 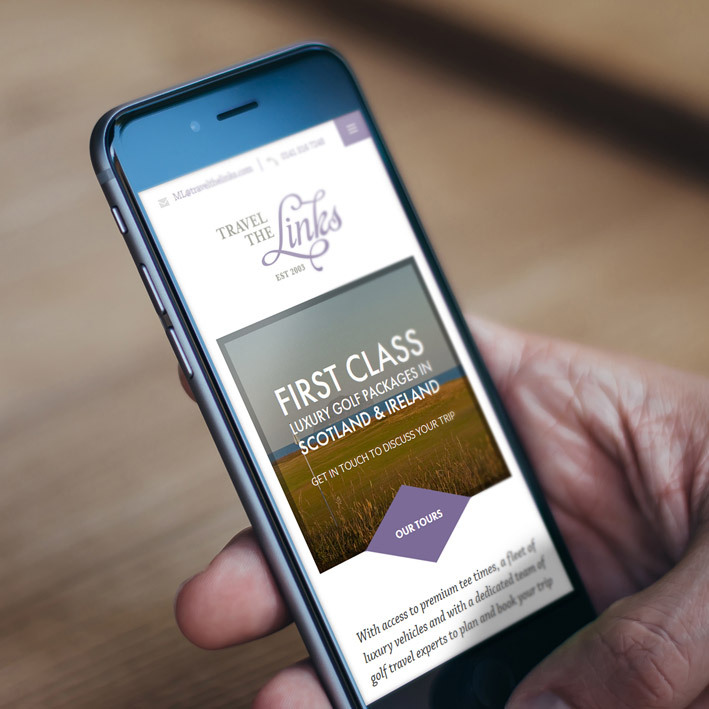 I collaborated with Clyde Cruises and Kirsty Innes who was doing their marketing to develop the new user experience and overall content strategy which was very much more sales and content focused. With the help of copywriter Hilary Philps and awesome photography by McAteer Photography I designed and build the new website, which is responsive and fully managed using wordpress. The site uses some nice, intuitive navigational devices and interactions to allow easy searching of the different cruises. Hamlyns of Scotland is part of a family food business with 14 generations of oat milling history. As a business they have maintained a traditional range of Scottish Porridge Oats and Scottish Oatmeal while recently branching out into more instant and 'on the go' products to capture a bigger share of supermarket sales. The design of the new website was underpinned by a clear set of business and user goals which were carried through the whole project. The new site had to be very much more sales focused both online through the website and in the supermarkets. Increased user awareness and engagement with the brand was also key, with a greater focus on sharable content like porridge based recipes and videos, and integration with their social channels. 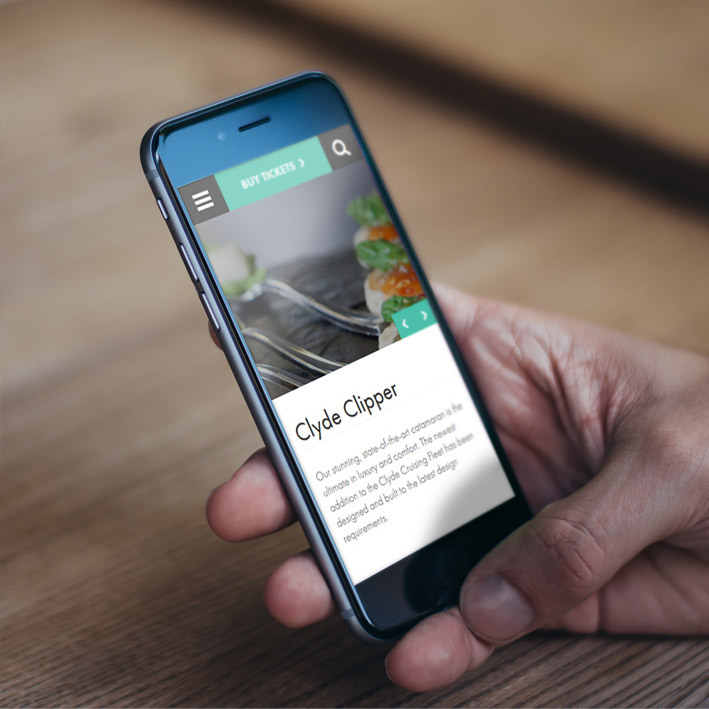 I created a user experience and interface design that would allow visitors to easily search, discover and share new recipes and engage with the brand. The site also aimed to showcase the different products and health benefits Hamlyns offer while appealing to a set of defined user groups. The site also includes ecommerce integration and works seemlessly across different devices. 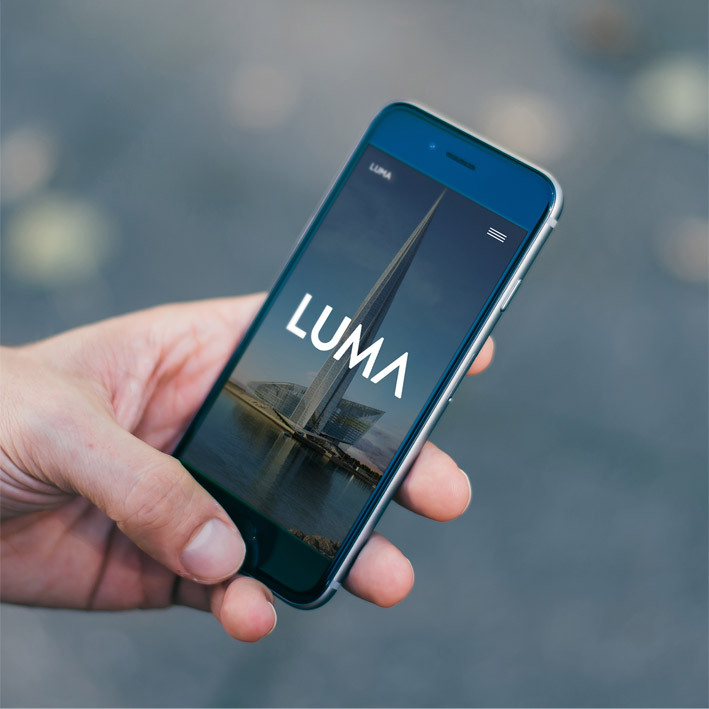 Luma3D Interactive is made up of highly skilled professionals from the Art, Architecture, Computer Games, Graphic and Product Design industries, with a talent and a passion to push the boundaries of creative applications. They specialise in emerging cutting edge 3D technologies, Augmented Reality, Video, Motion graphics. I was really pleased to be able to help Luma out with their new logo and the design and build of their new responsive website. The site showcases their awesome work using bold imagery, an intuitive portfolio and subtle parallax scrolling effects. D14 is Scotland's flagship digital summit, featuring a day of inspiring talks from industry leaders aswell as studio sessions, networking and an interactive showcase. 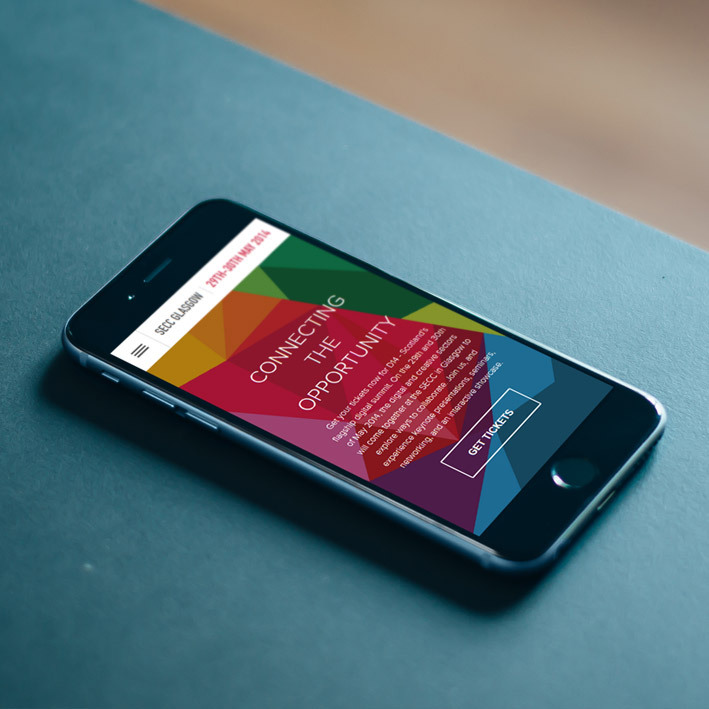 I worked with the organisers to implement the new event branding into a vibrant and engaging responsive website and develop a streamlined user experience. The site uses some nice subtle interactions to enhance the overall experience. The event is now passed but you can still see a live demo version of the site. Travel the links specialises in luxury golf tours in Scotland and Ireland. They required a website which would appeal to their target demographic and allow site users to intuitively explore the different tours, destinations and luxury facilities on offer. Fully optimised for mobile and tablet devices, the site uses strong use of type and imagery aswell as some intuitive navigational devices. I was pleased to be able to help my dad out with the website for his new business. He took the leap to go freelance using his wealth of experience in providing technical support services for professionals in the construction industry. I designed and built the new website which is fully responsive and fully content managed with Wordpress. It also features some custom icon illustration and an intuitive user experience through the use of an unconventional layout and css transitions. Boyd Furniture Designs came to NSDesign looking to take their high end furniture products and unique in-store experience and convey this online. Aswell as requiring a fully responsive ecommerce website, they also wanted to get across the quality and range of their products and the lifestyle aspect of their service through the use of stunning product imagery. The site is fully integrated with wordpress. Magpie Gifts is boutique gift shop specialising in custom hand made jewellery. They came to NSDesign with the aim of bringing their popular in-store offering online whilst showcasing their fantastic work. The site was designed to reflect the unique, quirky, hand made style of the jewellery with a slight nod to 60's romance films. Aswell as being fully responsive, the site includes ecommerce integration using wordpress and woocommerce. Curtis Moore are a forward thinking roofing contractor based in Glasgow. 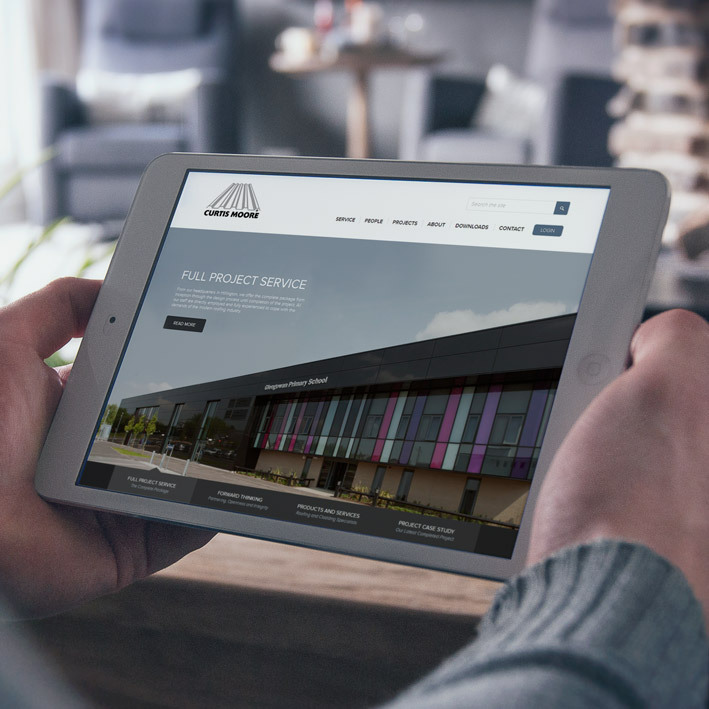 They approached NSDesign with the aim of refocusing their web presence to showcase their range of work and provide a useful and intuitive resource for their existing and potential clients. I designed the and built the new site which is integrated with Wordpress and is fully responsive for all devices. Nuvo Gadgets is a company with a passion for gaming and gadgets - they were looking for a website which would showcase their main product, the Nuvo-Pro Game Grip and reflect the companies focus on fun and innovation. The device transforms your iPhone and iPod into a pocket games console, with vibration feedback technology and powerful built in stereo speakers. The ecommerce website was built in wordpress and features some cool parallax scrolling effects. Linstone Housing Association provide quality housing in Renfrewshire. 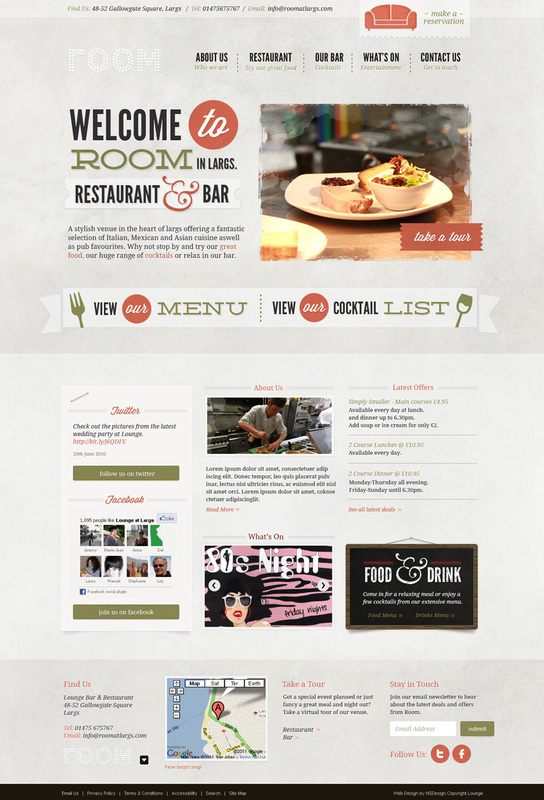 They were looking for a redesign of their website to coincide with a complete facelift of their branding. It was exciting to play a part in bringing what was an old and difficult to use website up to date, creating a refreshing and intuitive experience and bringing the focus back to the end users. Lounge and Room are two stylish venues in the heart of Largs. They were looking to update both websites inorder to convey the unique sense and style of both venues and engage their users more through an easy to update content management system. The new websites help strengthen and tie together both brands aswell as showcase the venues. I was thrilled to be part of .net's monthly build-off feature earlier this year. The theme for the build-off was local village websites. I created a design for Branahuie, a small village on the Isle of Lewis. I thought this would be an interesting location due to the unique visual element it provided. It also gave the chance to consider how modern web technologies like social media, user generated content and geo-location could be used in a traditional setting. Ace Cleaning are a commercial cleaning company based in Glasgow. They wanted to create a new website which reflected the range and quality of their services aswell as being easier to maintain. I tried to create a simpler and more intuitive user experience while highlighting the key services and qualities of the business in a more lighthearted way. The site is also fully responsive and fully manageable using Wordpress. I am a keen producer of instrumental hip hop and an aspiring DJ so this was a fun personal project which allowed me to showcase some of my music aswell as experiment with typography arrangements, illustration and HTML5 audio capabilites. All the music can be played from the page without the use of any plugins. The site is also fully responsive and features some subtle uses of CSS3 animation to bring the illustration to life. Go check it out and download the music for free! Ancestral Consultants are a genealogy research and family history consultancy business. They needed a website which appealed to history enthusiasts and highlighted their professional research and training services. The style of the website also had to reflect the historical theme. 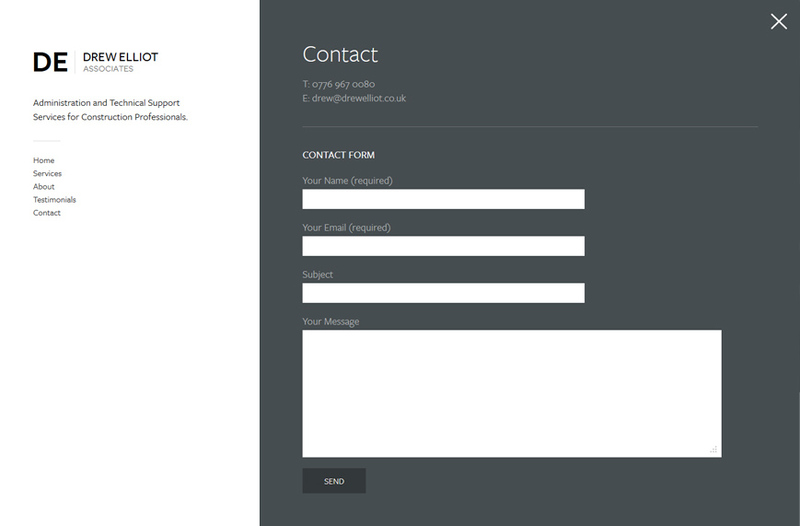 The website was built on the NSBuilder content management system aswell as incorporating Wordpress for their blog. 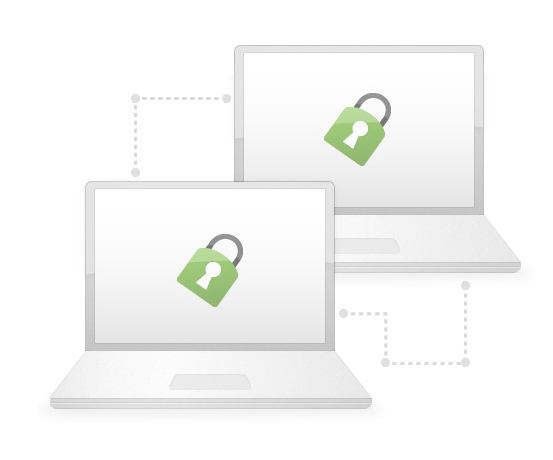 Appshare is a revolutionary scalable and secure collaboration tool. Aswell as the design and build of their website showcasing the great features of Appshare's product, I also worked extensively on the user interface of the application itself, designing various screens and icons. The site is fully manageable using Wordpress and features custom illustration and icon design. Aulds are a long established Scottish bakery chain. They approached NSDesign with the goal of refreshing their web presence and widening their user appeal. Myself and my colleague Matt produced a choice of design concepts. This design was not used but I still really like it. The new website will include a branch finder based on the users location aswell as full integration with social media to encourage further user engagement. Clyde Muirshiel is Scotland's largest Regional Park, stretching across much of the Scottish West Coast. The site needed to showcase the various activities and beautiful locations in the park and promote local tourism. All the content is fully manageable using Wordpress posts for ease of tagging,updating and searching. It includes an events database, integration with social media and weather data, aswell as an interactive map and custom illustration. ChipsAway are a nationwide franchise who specialise in the repair of car scratches and dents. 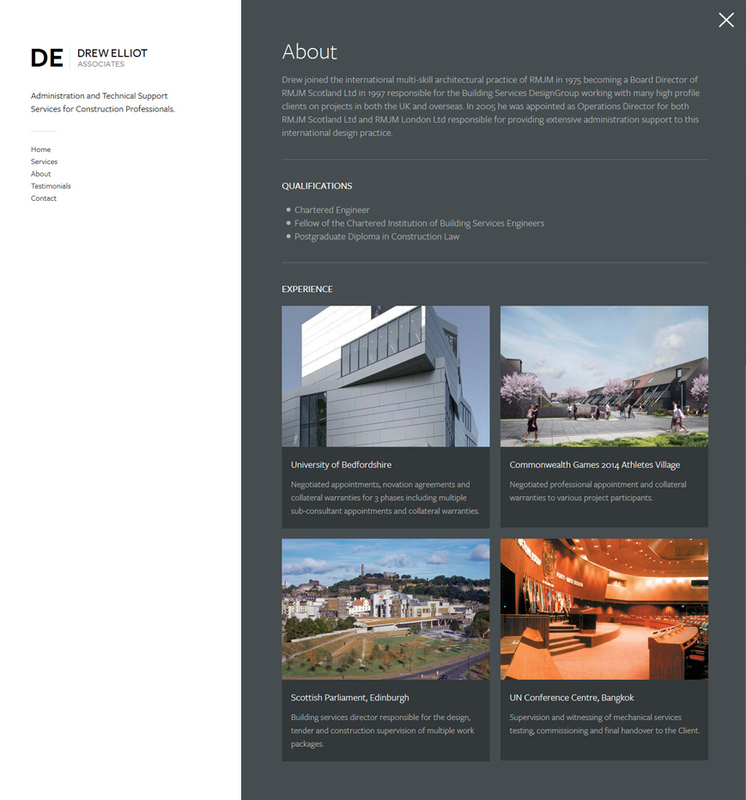 They approached NSDesign to redesign the website of their Glasgow branch. The website needed to provide a clear and and intuitive experience for new users, making the process of identifying the correct service easy and accessible. 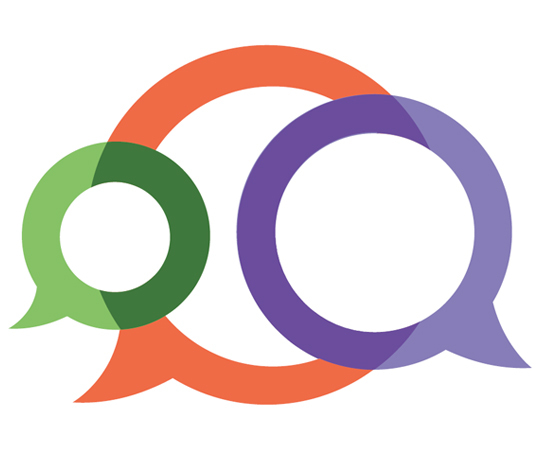 The website also integrated with vimeo and other social media channels to encourage transparency and user trust. Emergency One is a manufacturer of fire rescue and emergency vehicles. They provide vehicles and equipment to fire brigades across the country. They required a bold and striking website which showcased their range of emergency vehicles aswell as integrate with event management and simple ecommerce functionality.